Call me a sucker for the compact. My first vehicle was a moped; my first car an itty-bitty hatchback; my last computer a netbook. It must be the German part of me that wants something to do its job and do it well without a lot of fluff. For example, I am very interested in the idea of nettops. The netbook, as many of you know, is a no-frills laptop that focuses mainly on surfing and relying on a lot of cloud applications available from the internet to do things. For schools they are great because 95% of what we seem to do is work on the internet or type up reports in Word. Even though a lot of “experts” claim that the netbook is on the way out, to be replaced by cheaper and more portable tablets, I can see a long future for netbooks in the classroom since it’s hard to type well on a tablet. Once more, most schools I find still use computer labs heavily. Why use the computer lab when you have a cart of netbooks? Well, for one thing, logistics. First, the netbooks have to be charged, and as a teacher you run the risk that they will kick out after 5 minutes because the third-graders forgot to plug them in last hour. Second, wireless has to be up to the task. Wireless has come a long way, but for many schools, having 30 or more machines log in at the same time is just too much of a drain on the system. I personally have had a class where the students have had to log in five at a time to prevent overloading the network; meanwhile, the students who were waiting were crawling up the walls. Third, security. It is very easy for one of those little laptops to fall off a desk or “go missing.” Last, there is distraction; the lab is used for one thing—working—and taking the kids there physically means it’s time for business. A nettop is a small computer, usually low-powered, that is designed to surf the web and type up documents and little else. The most well known example to me is Apple’s Mac Mini. But to many in the nettop world, even the Mini, with its optical drive, is seen as decedent. Enter such liliputian machines as the Asus EEEBox—little bigger than a paperback book, and looks great mounted to the back of a monitor or whiteboard. But why stop there? 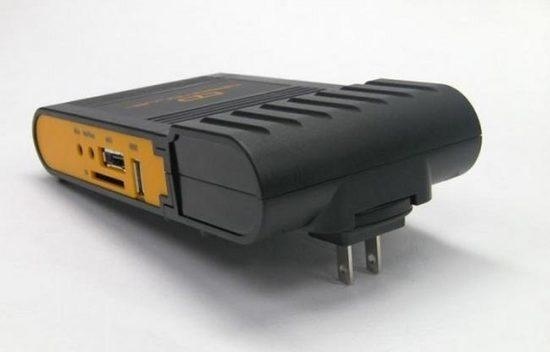 There are also such great products as the upcoming Fit-PC3 from Compulab or even the ridiculously small Dreamplug, a computer that, get this, is the size of most AC adapters and is designed to plug into your wall’s AC outlet. Can these tiny machines do everything? No, but like my car, they will get you where you need to go most of the time and free up plenty of space in your computer lab/garage for important things like more students or your hammock.